Imperia Online is a mediaeval themed real-time strategy that takes place in a realm of battling warlords where empires rise and fall under banners, swords and bloodshed. In this free to play MMO, players must build up their Empire, harvest valuable resources, raise a mighty army and bring the battle to their neighbouring rivals to expand their own territory. Imperia Online is a web-based MMO and does not require a client download. The core gameplay of Imperia Online revolves around trying to expand your territory where each player starts off with their own capital city from which the seeds of their mighty Empire are sown. 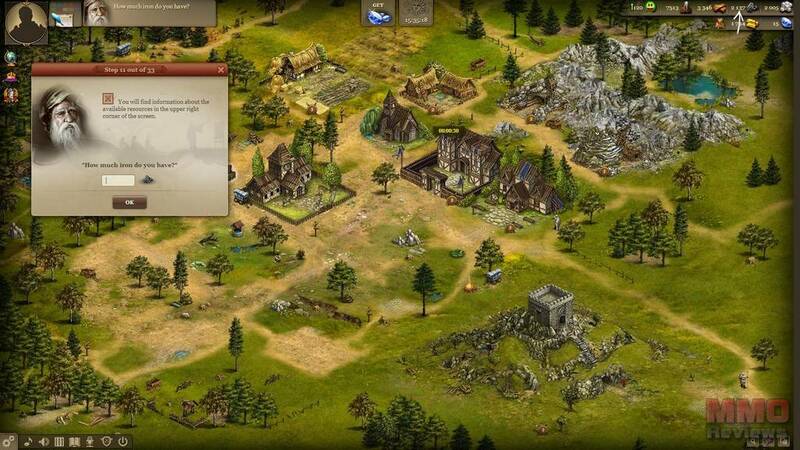 Here players will have to gather up resources and use their populous to construct new buildings, which in turn unlock a variety of options and gameplay features, such as building barracks enable players to begin training up their army. Player versus player conflict is at the heart of the game, where each budding warlord will fight against their rivals in order to get ahead; though with a player- driven economy and the options for creating in-game alliances, players do not always have to settle disputes through conquest. Advancing your city and Empire requires a steady income of raw resources including wood, iron and stone, the materials required for the majority of construction actions in the game, from building new structures to arming your troops. Equally important to any Empire is the management of their gold, acquired through taxing the populous, which will provide a steady income, their willingness to part with their money is determined by their overall happiness. Keeping the people happy is another important task that any good warlord can keep on top of, an unhappy populous will quickly result in your citizens stopping work, stop paying taxes, migrating to a neighbouring city simply causing an all-out riot. There are over 30 different buildings that warlords can construct in their city, divided primarily into two different categories: military and economy, which will offer unique advantages to both the player and the city. Some constructions such as a fortress will provide bonuses to the garrison on the defensive capabilities of the city as well as upgrading the amount of resources that can be stored there, other buildings such as statues are used to keep your population happy and in check for the times you need to push up taxes. Not the most important buildings a player will require is the barracks in which to raise the beginnings of their mighty army. Soldiers come in three different categories: light, heavy and elite, each of which offers different bonuses when going head-to-head with different enemy units. Some units have special actions that they can take in battle and will excel on the battlefield in a variety of different ways; swordsmen are instrumental when attacking an enemy fortification, whereas ballista are ideal defences against siege engines. The key to victory in battle is knowing your units capabilities, knowing your strengths and knowing your enemy. Your army is your primary form of defence against attacking players, but can also be used aggressively to attack your rivals by pillaging their holdings and slaughtering their populous, though the killing of innocents can have serious repercussions on your soldiers’ morale. One of the key elements to surviving in Imperia Online is making friends and forming an Alliance or joining a pre-established one where players can work together and offer each other protection where there is safety in numbers. Alliances are able to share gold with each other, share their armies and offer unique technology research options to offer boosts and bonuses to the entire Alliance. Alliances are also instrumental during the "Lords of the Realm" event, the game-wide event that occurs at the end of each era where alliances go head-to-head in a final attempt to try and destroy each other as they fight to control nine neutral castles, which increases their influence across the land and offers additional bonuses. This final event is what many players and alliances work towards, throwing all their resources and assembled armies for the last ditch attempt to try and claim the title of "Lord of the Realm". Looking for more Free Game Apps,Free MMO Browser-based games,Free MMO management games,Free MMORTS,Free MMOs games?